Most of my libertarian friends are avid and passionate non-believers in global warning and climate change. They fiercely contest the validity of many research results. This sometimes reminds me of religious zealotry. However, one has to say that their opponents do not hesitate to falsify data and blackmail the public emotionally and otherwise. But many libertarians live in a constant state of denial when it comes to climate change. Well, so be it. I do not know where to stand in this debate but I would categorize myself as an “unremitting sceptic” in this regard. Having said that, the changing climate pattern over the last two decades in my own vineyard and observations from vineyards around me cannot be ignored. Recently, Prof. Edward ‘Snow’ Barlow, professor of horticulture and viticulture and head of the School of Land and Environment (Agriculture and Food Systems) at the University of Melbourne and a practising viticulturist (he has a 24 ha vineyard in the Strathbogie Ranges) has published his new research findings about climate change and its effects on Victorian viticulture. An article in The Age by Jeni Port (10 January 2010) alerted me to this research. One of the main trends in Victoria seems to be that vintage time moved forward considerably since 1982. In one location at the Mornington Peninsula it has come forward by 40 days in 40 years for Pinot Noir and 32 days for Chardonnay. At other locations, for instance at Tahbilk, one of Victoria’s oldest winery, picking days have fast tracked by 20 days. Since we established our own vineyard (Two Hills Vineyard) in Glenburn in 1996-97 we had a high degree of variations in our growing seasons. But 10-12 growing seasons is not long if you want to see patterns. After all, we are the only vineyard in the location and comparative data are few and far between. 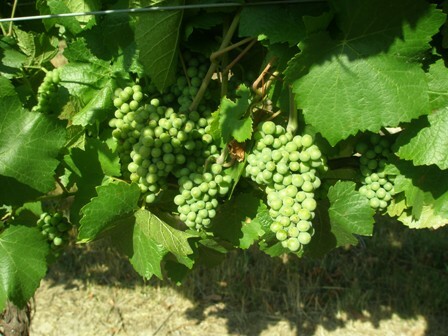 The Cabernet which we pulled out in 2001 might under these changing conditions been able to ripen the fruit after all. Should we have left it in? These and many more questions beg an answer. What will an earlier harvest mean for us? Will our early ripening varieties produce better yields or a higher quality of fruit? In contrast to other production locations we have sufficient water to irrigate if necessary, but is our fruit quality really higher than before? If the “commercial life” of a vineyard is about 25 years, we are at about half-time. If Prof. Barlow’s predictions of vintage time for Victoria in 2030 and 2050 are realistic, we might be just in the position to make it, so to say. The selection of grape varieties for replanting in about 2025 could be based on a much broader scientific knowledge. Prof. Barlow thinks that Australian vintners and winemakers are at the forefront of climate change, “the canary in the coal mine”, as he puts it. Life is full of adventure, especially in the rural hinterland of Melbourne. The article in The Age closes with the remark, that Prof. Barlow “rarely meets a climate sceptic in the wine industry”. From my conversations with libertarians I cannot confirm this, but libertarians are mostly found in urban centres and hardly in the field. 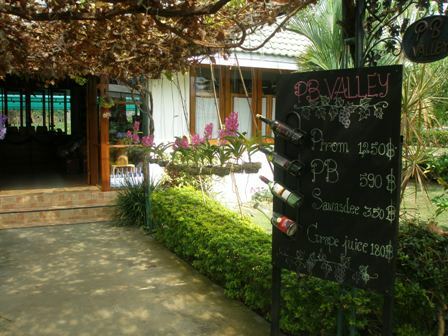 PB Valley is the largest of the Khao Yai vineyards and wineries. It’s total production is about 600,000 bottles a year. 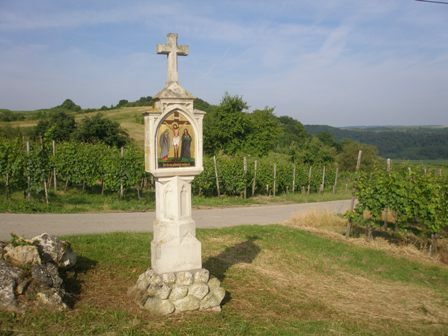 It is also the oldest vineyard in the region. 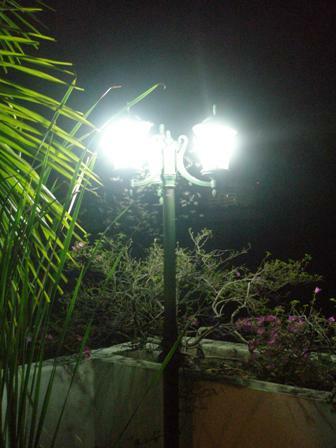 It was started in 1989 on a large plot of land. It took a couple of years to identify the most suitable grape varieties for the climate. PB Valley wines have won a number of international wine awards (mostly at AWC in Vienna). 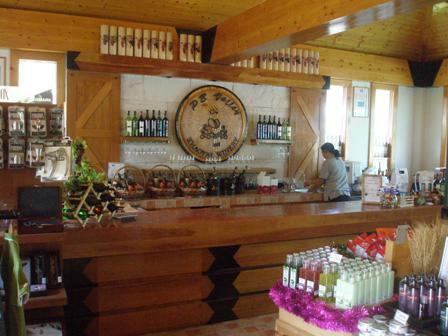 Apart from vineyard and winery, it also has a restaurant, the Great Hornbill with about 200+ seats, and holiday accommodation. I like their reserve Shiraz and Tempranillo wines best. Unfortunately, we had no time for a winery tour or any organised tasting. We just dashed to the cellar door and bought a couple of bottles. 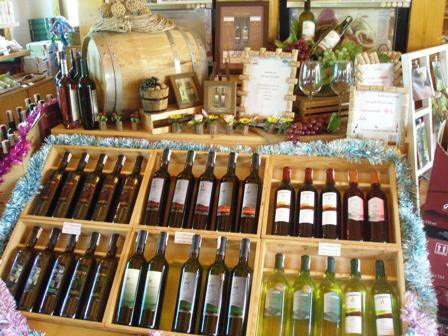 As in other wineries, the product range includes all kinds- of non-wine products from health care, cosmetics to nutrition. If you visit Bangkok, rent a car with driver for the day and visit the wineries and vineyards of PB Valley and Gran Monte. 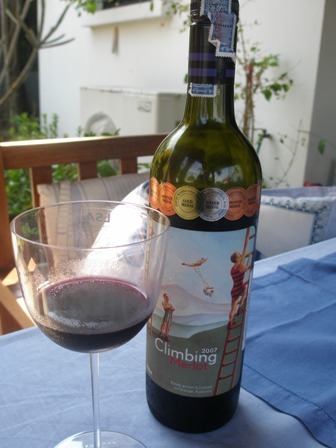 This gives you a perfect start for the exploration of new latitude wines. The area is beautiful and the national park offers some unique experiences of Thailand. 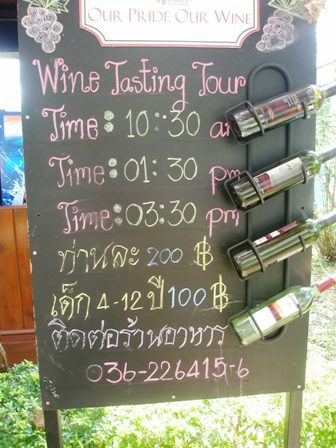 If you have no time, visit their sales offices in Bangkok and stock up on their wines. 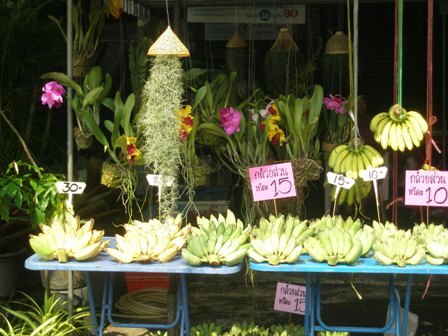 The other week the whole family decided on an outing and we visited Chatuchak market, a plan we had for a long time since Wednesdays are exclusively reserved for the gardeners and plant producers. An enthusiastic gardener like myself treasures such occasions. It was amazing to see the variety of plants on offer. I would love to have a huge garden but instead my third floor terrace is rather limited as regards available space. It was still wonderful to stroll through the rows of vendors and customers. 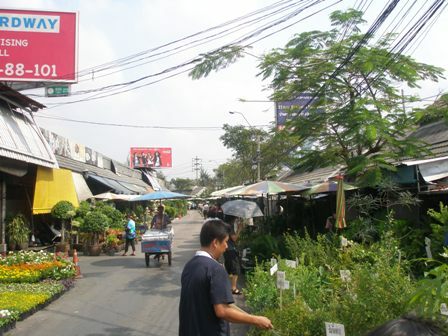 Chatuchak market has become a magnet for tourist, domestic as well as foreign. I was surprised that this also included the Wednesdays. One cannot take these plants home so easily on a plane. I guess the flowers, the colours and the beautiful scents are the main attractions. I also like the people selling their plants, they have the appearance of rural folks, people from the hinterland, rough, proud, relaxed and very friendly. 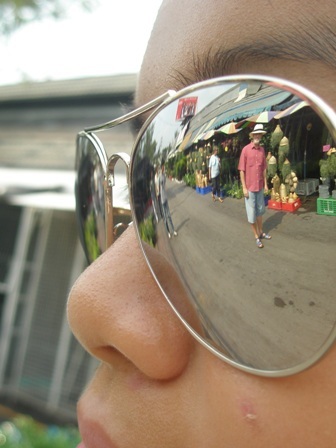 Chatuchak market is a must for all tourist visiting Bangkok. My verdict: highly recommended. Have fun! 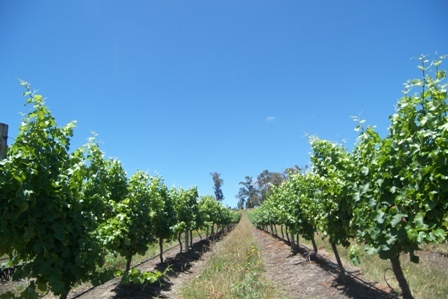 The nets are on now, and we are expecting a good harvest at Two Hills Vineyard for 2010. After the total loss of last year the prospects are not too bad. The Merlot grapes look good too, but we are not making any wine this year. This will make the bird in the vicinity very happy, what a feast. That’s the price we have to pay for the grape glut. It’s sad but cannot be helped at this point in time. Our new tractor will come into action for the vintage. This will make things easier, I hope. Let us hope no unexpected disaster occurs before the grapes are in safely. 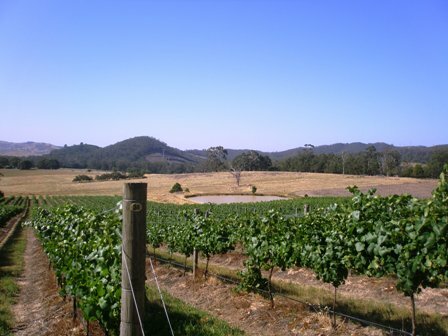 The plan for 2011 is to mothball the vineyard for a couple of years and see if the market recovers. Today, I would love to walk through a vineyard with my mother, preferably along the Mosel or the Saar. It is her 80th birthday today. I salute you mum and wish you many more years on this earth. We could have lunch in one of the many country inns and enjoy a local Riesling wine. But instead I am far away from the action, in Bangkok, in the tropics. This is one of the downsides if one works in far away places. As consolation I will open a bottle of Saar Riesling later with lunch. You are currently browsing the The Man from Mosel River blog archives for February, 2010.